A “Whale?” You’re actually putting this album in the “Whale Wednesday” category? If you’re questioning that, then you weren’t around in the late 1972 or early ’73. If you were, you’d have remembered how big this album was. Singer-songwriters were all the rage at this time. A year and a half earlier, Carole King was top of the charts forever it seemed with her masterpiece “Tapestry.” That album was released in March on ’71 and she actually released another album, Music before ’71 was out. 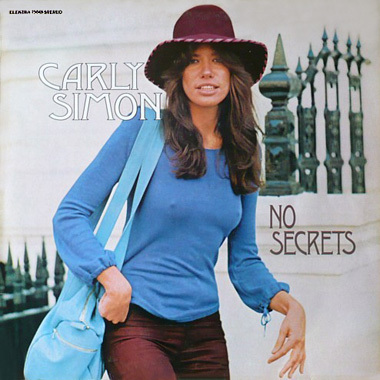 Carly’s No Secrets was not another Tapestry, but it may just have had a bigger hit than anything of Carole’s album. The biggest hit from her album was “It’s Too Late,” on Carly’s it was the classic “You’re So Vain.” This wasn’t a whale, this was a monster of a single. It not only hit number one, but it stayed there for a long time as well. I’m not even going to get into the “Who is it about” topic, for one, she’d never officially said, and for two, I really don’t care. I like the track, I’ll give you that. It’s really fun to hear that loud and listen to the great harmony track provided by Mick Jagger, uncredited as it was. That was the big, big hit off this album, but far from being the only great track. An album doesn’t go platinum and sit at #1 on the Billboard Top 200 Album chart on the strength of one single. The second most popular song had to be “The Right Thing To Do” this lead-off the album. Nice start. One of the other things I’d like to highlight about the No Secrets project was the artists that play on it. 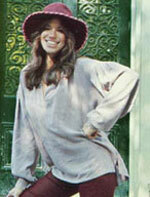 Carly’s band consisted of Andy Newmark on drums, Klaus Voormann on bass and Jimmy Ryan on guitar. She and producers Richard Perry, Frank Filipetti, Robin Hurley also invited some big shooters. Some of them included, Jim Gordon and Jim Keltner on drums; Nicky Hopkins on piano, and on background vocals besides Mick we also had Paul and Linda McCartney, Bonnie Bramlett and James Taylor. Two more names jumped out at me when I saw who played on this discs. They are Little Feat’s Lowell George and Billy Payne. I never knew they were part of this. For the record, Carly married James Taylor the same month this was released. There’s also no truth to the rumor that I’m just looking for anything to say just so I could have more room for pictures of Carly. 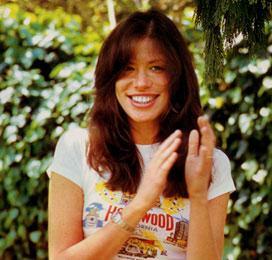 All songs by Carly Simon unless otherwise noted. If you like Carly and Singer Songwriters, check out these. See the other Whale Wednesday features. Still dig this album nearly 40 years on – still have my vinyl – purchased on release – still sounds great.